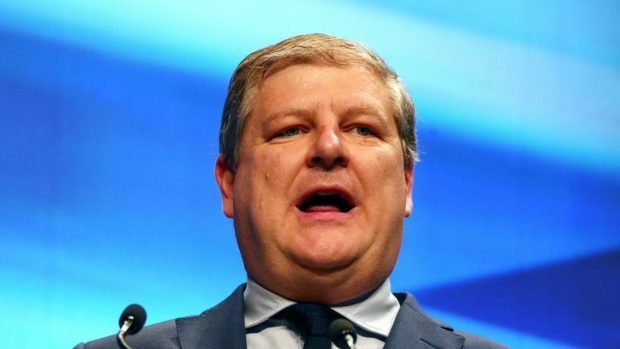 SNP depute leader Angus Robertson is currently on course to lose his Moray seat at next weeks General Election, according to analysis of a new poll. Callum McCaig and Stuart Donaldson, both running again as SNP candidates, could also be set to lose their Aberdeen South and West Aberdeenshire and Kincardine constituencies, according to the findings. The survey of 1,000 Scots, carried out by BMG on behalf of the Herald between May 12 and 18, found the SNP remain the most popular party in Scotland at 43%, 13 points ahead of the Scottish Conservatives. Meanwhile, Labour sit at 18% and the Liberal Democrats at 5%, with the Scottish Greens sitting in fifth place at 2% when ‘dont knows’ are removed. However, analysis of the results suggests Mr Robertson could lose the seat he held on to in in 2015 after taking a majority of 9,065 over runner-up and Conservative candidate Douglas Ross. The findings also point to gains for the Tories in a number of other key areas across Scotland including Berwickshire, Roxburgh and Selkirk, as well as Dumfries and Galloway. Shadow SNP Westminster group leader Peter Wishart is also expected to lose his Perth and North Perthshire seat, the analysis found. In total this would take the number of Conservative MPs in Scotland from one – Scottish Secretary David Mundell – to eight. A spokesman for the Scottish Conservatives said the findings amounted to “very clear evidence” that only one party in Scotland can stand up to the SNP. “All across the country people are looking to the Scottish Conservatives to keep Scotland as a key part of the UK, and utterly oppose a second independence referendum,” they added. SNP election campaign manager Derek Mackay, said: “This poll was taken over two weeks ago – but like all other polls, it shows that only a vote for the SNP can keep the Tories out. “Labour can’t win the election in Scotland – and a vote for them just risks letting a Tory MP in the back door. A Scottish Labour spokesman said that recent polls had put the party on a much higher share of the vote, “but what appears consistent is that support for the SNP is on the slide thanks to the threat of a second independence referendum.